According to researchers the moon’s crust was apparently active far more recently than previously believed and these new findings raise questions about how the moon formed and evolved. Although the Earth’s crust is still shifting, driven by the churning semimolten rock underneath it, researchers had thought the moon had cooled off much too long ago to still have any such tectonic activity. Images collected by the Lunar Reconnaissance Orbiter hints the moon has probably seen tectonic activity within the last 50 million years. 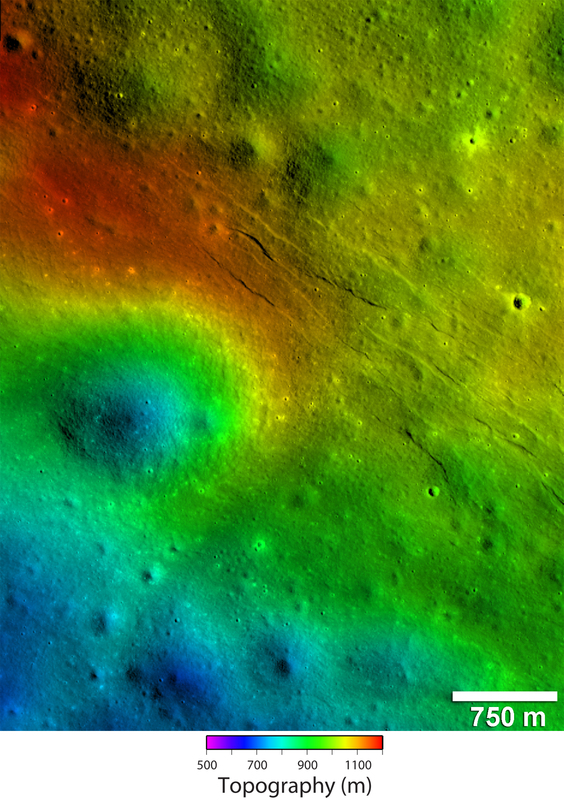 In these photos, researchers spotted a dozen or so narrow, trenchlike features known as graben in the lunar highlands and in the dark plains of volcanic rock known as the mare basalts. Graben are essentially troughs with two faults or cracks in the surface on either side of them. The graben the scientists detected, which reach up to about 1,640 feet (500 meters) wide and 1.1 miles (1.8 kilometers) long, appear relatively pristine. This suggests they formed recently ,otherwise, they would be marred more often by craters from meteor impacts over time. Models of how the moon cooled over time suggest it was totally molten after its formation, and that it should now be contracting as it cools, forcing the surface to wrinkle. However, if this was true, such compression would have suppressed the creation of graben, these ditches typically form when the crust stretches, not crinkles.These findings suggest the moon was not completely molten after it was formed. If this were the case, the moon would not contract strongly enough to suppress the emergence of graben. Future research can look for more graben in Lunar Reconnaissance Orbiter photos once the satellite finishes imaging the moon.